Sunday morning my mom had us up bright and early-- very early-- for a hot air balloon ride. This was a first for each of us and something that my mom had been dying to do for some time. In case you didn't know (because I didn't), hot air balloon rides are totally weather dependent. We were supposed to have our balloon ride Friday morning and then again Saturday morning, but the threat of rain and/or high winds got the ride cancelled both times. The conditions were perfect on Sunday though, so we were finally in the clear. The early morning made for a really peaceful ride and for sunrise views that were pretty breathtaking. 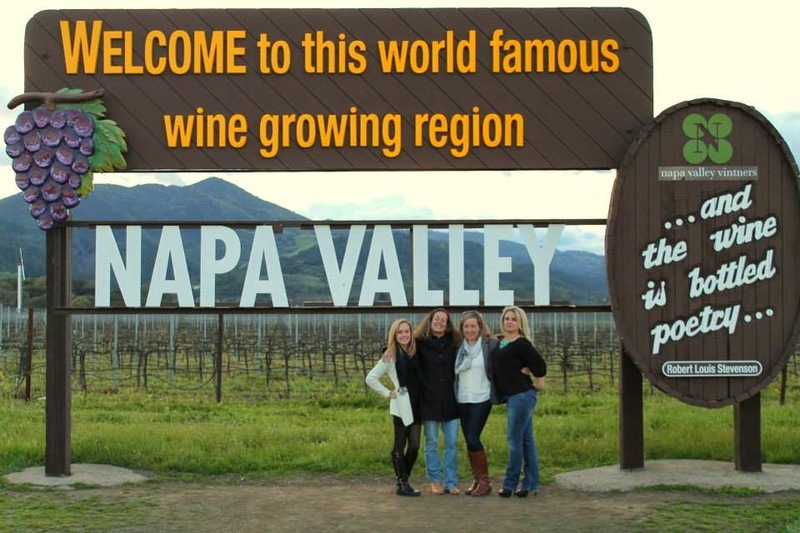 It was a such a beautiful way to see Napa Valley-- and our pilot was full of interesting facts about the area. 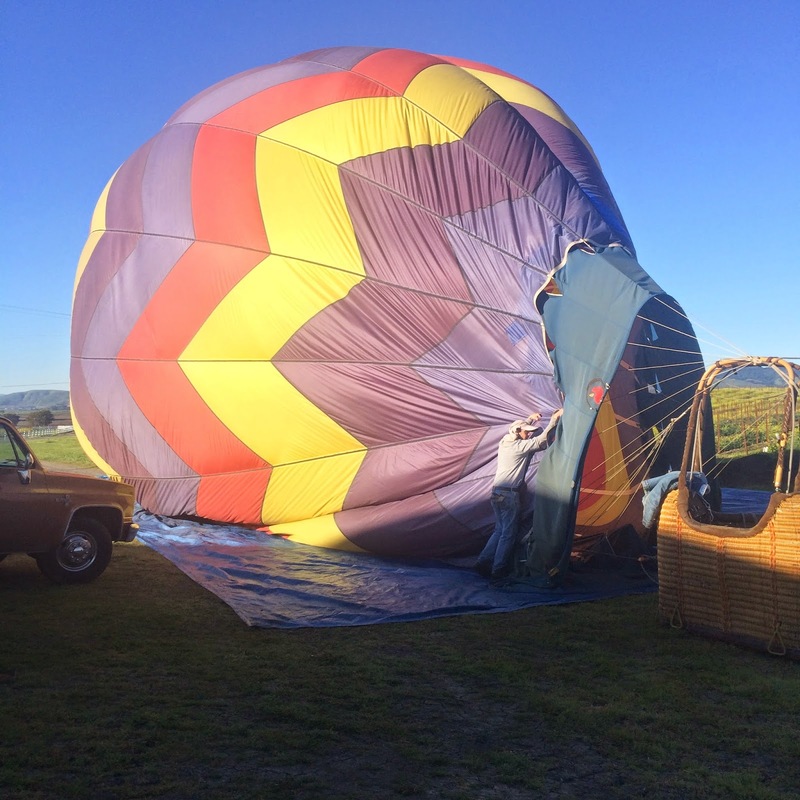 Until our balloon ride, I hadn't realized that this was such a big thing in Napa. Once we were up in the air and had a good view of the valley, there were several other hot air balloons lifting off from all over the area. It was really beautiful to see all those big colorful balloons rising out of the morning mist at sunrise. 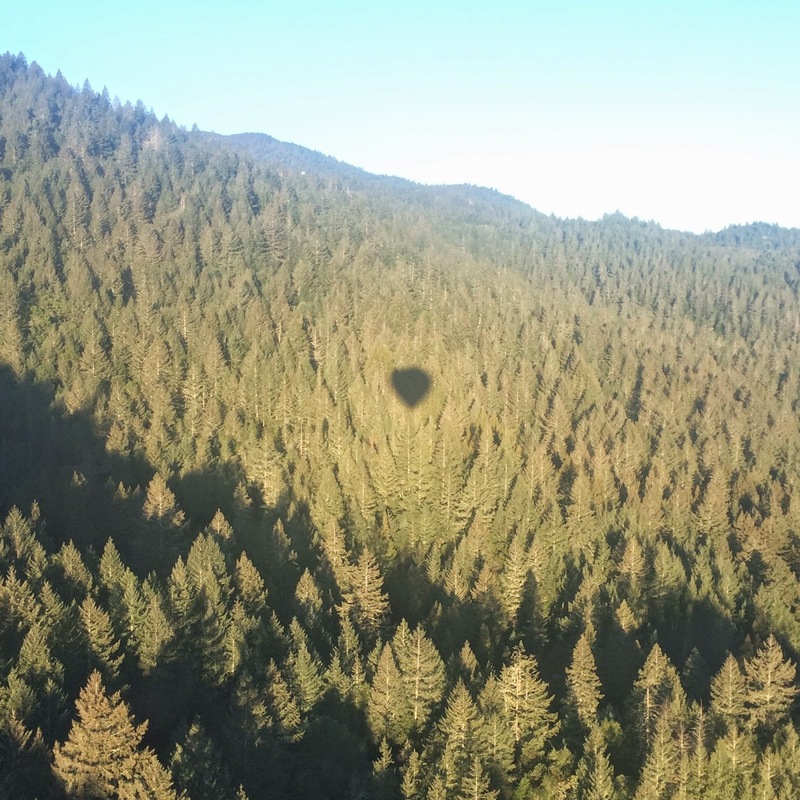 Another new ballooning fact for me: You never know exactly where you're going to land. How about that for a cause for anxiety? 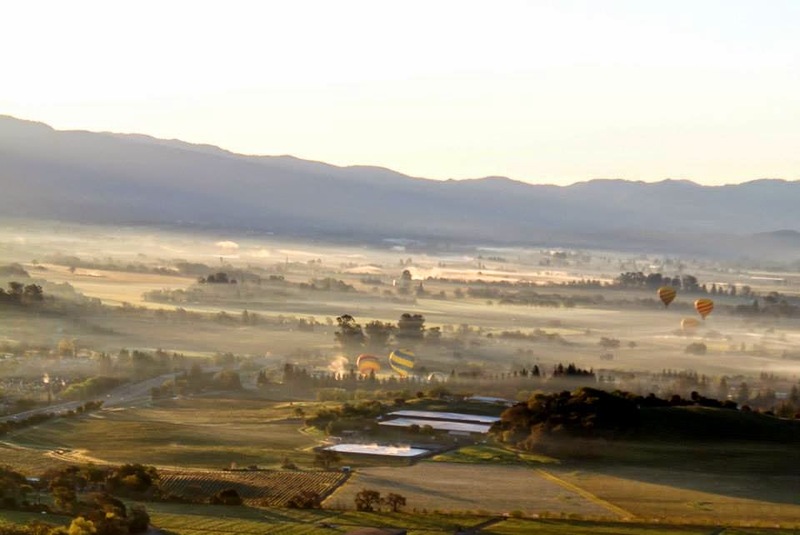 The pilots know of a handful of safe places and "friendly" vineyards and farms throughout the area and depending on where your balloon ends up (based on the wind and the weather), they gauge it from there and will land the balloon in one of those areas. Although we all gave my mom a hard time about getting us up so early, at the end of the ride we all agreed that this was a pretty incredible experience. There was even a proposal in the other basket that launched with us that morning! So, if you have the time (and you're okay with heights! 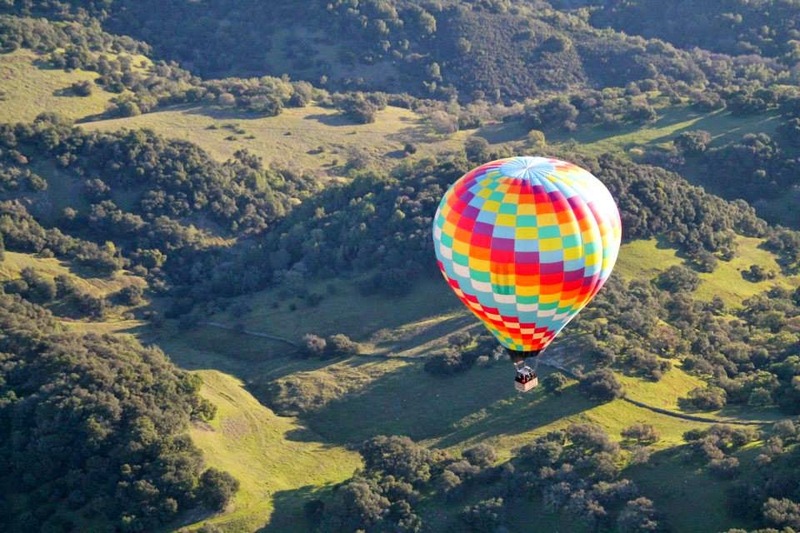 ), try a hot air balloon ride on your visit to Napa. 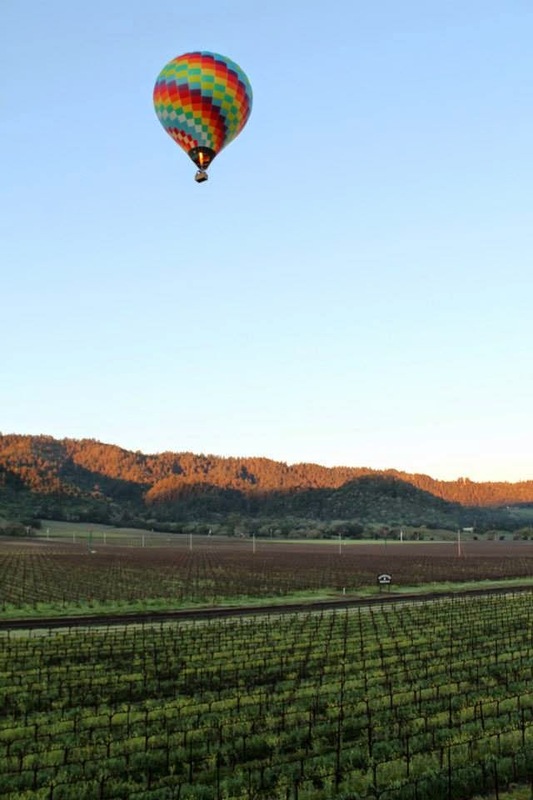 Also, our balloon ride was via Napa Valley Drifters, if you're interested in booking. 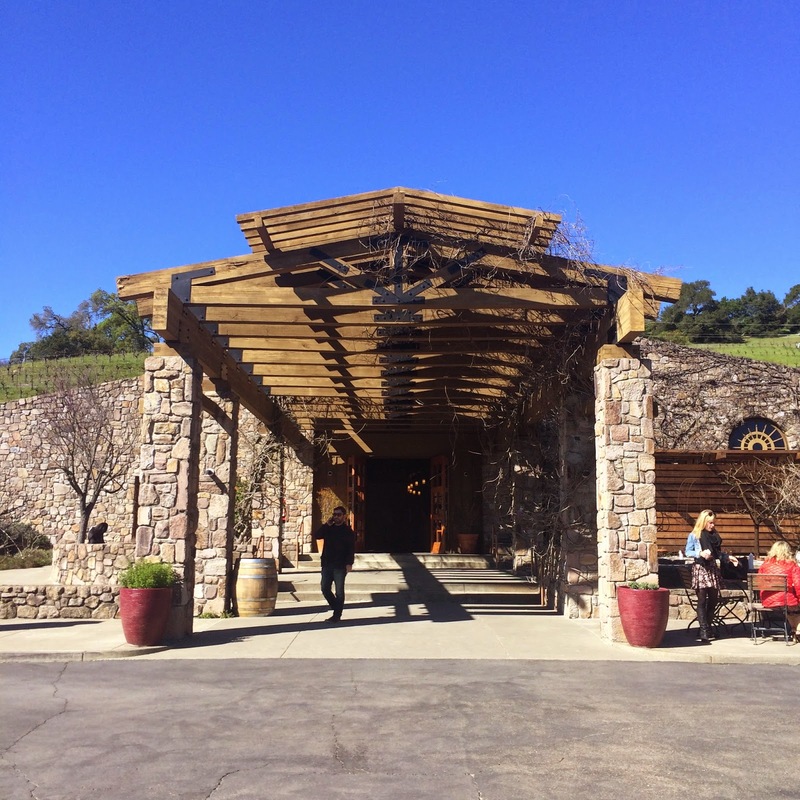 The final winery stop on our tour of Napa was Robert Sinskey Vineyards and it was truly something special-- and much more than a tasting. Robery Sinskey is a very food-centric vineyard, so our tour of the grounds began right in front of the winery in the Sinskey gardens. One of the winery's chef gave us a really interesting tour of the grounds and everything they were growing there from rainbow chard to kefir limes to rare varieties of apples. 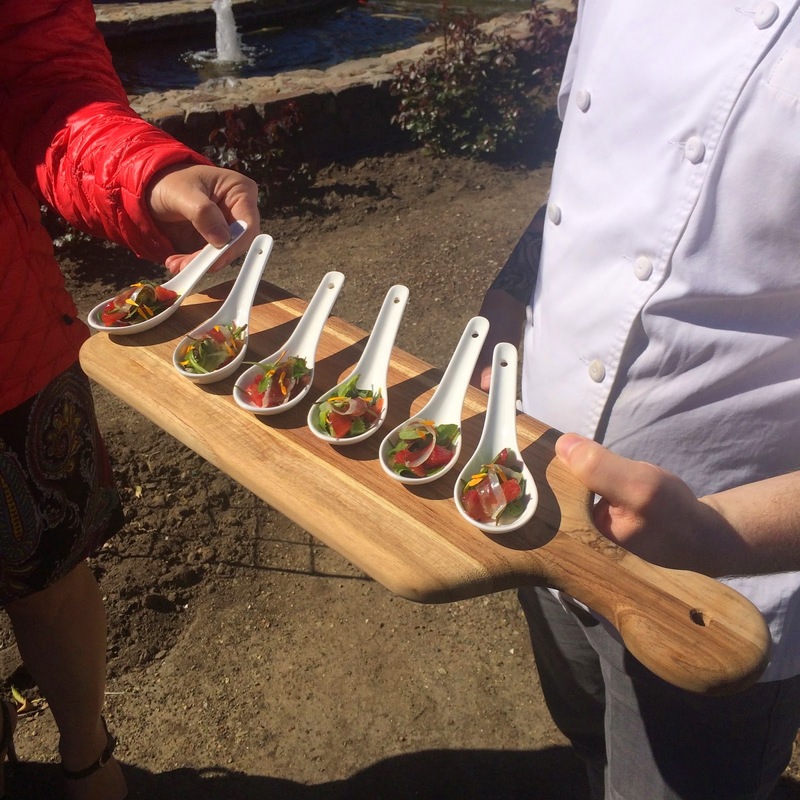 This winery regularly hosts wine and food events and ours began with a glass of their white Abraxas "Vin de Terroir" wine and little salad bites made from the vegetables grown on the property. 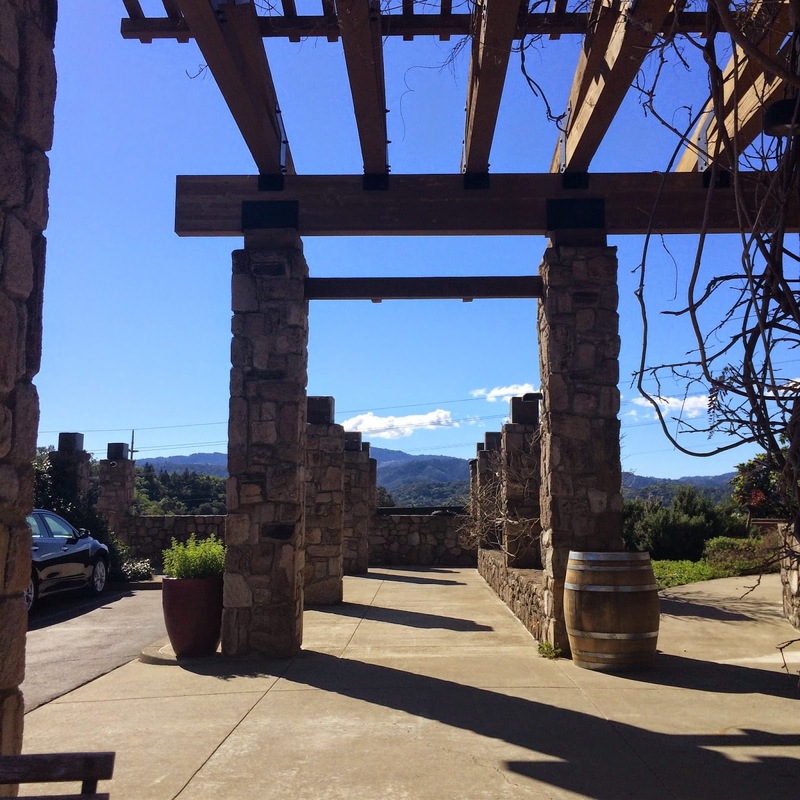 I would also quickly mention that this was also a really beautiful winery, from an architectural perspective. And the views from atop the hill in the winery are absolutely stunning. The tour continued with a lesson in the winemaking process and a tour through the inside facilities and then finally, we ended in the caves. This was the only true cave that we saw through the whole trip (besides a mini cave at Tres Sabores), so it was really cool to see it during our very last vineyard visit. And at the end of the winding caves, we arrived at a table in a dark cellar surrounded by hundreds of bottles of old Sinskey vintages. It was such a perfect and intimate place for the tasting. After we sat down, we were guided through a tasting of 4 red wines: 2 Pinot Noirs, a Marcien, and a Cabernet Sauvignon. The wines at Sinskey were drier and bolder in flavor than many of the others we had sampled over the course of the weekend-- and they felt totally appropriate for drinking in the caves. Shortly after the tastings began, our food arrived. The chef presented each of us with our own charcuterie boards. 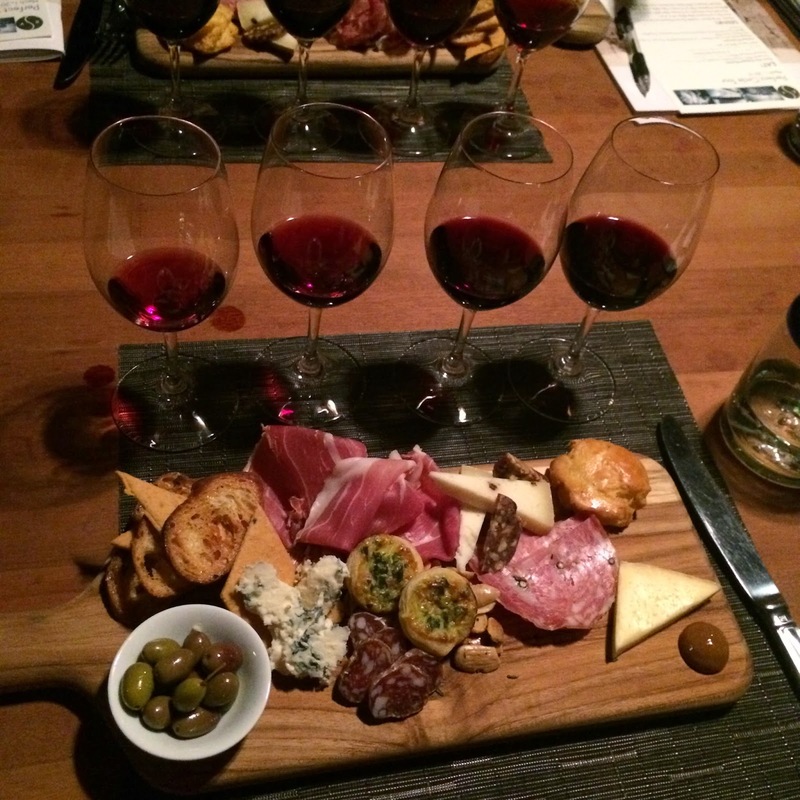 The board was stacked with some amazing foods for enjoying with our wine: a selection of crostini, cheeses, charcuterie, Marcona almonds, and local olives along with a few items made in the Sinskey Vineyards kitchens. We had the most delicious gougeres, housemade cheese crackers, miniature smoked ham and greens tartlets (made with veggies from their gardens), date and walnut cake, and this delicious persimmon butter that tasted like Thanksgiving. The chef's selection was delicious and thoughtful and they even brought out a special board for my sister with housemade gluten free crackers. 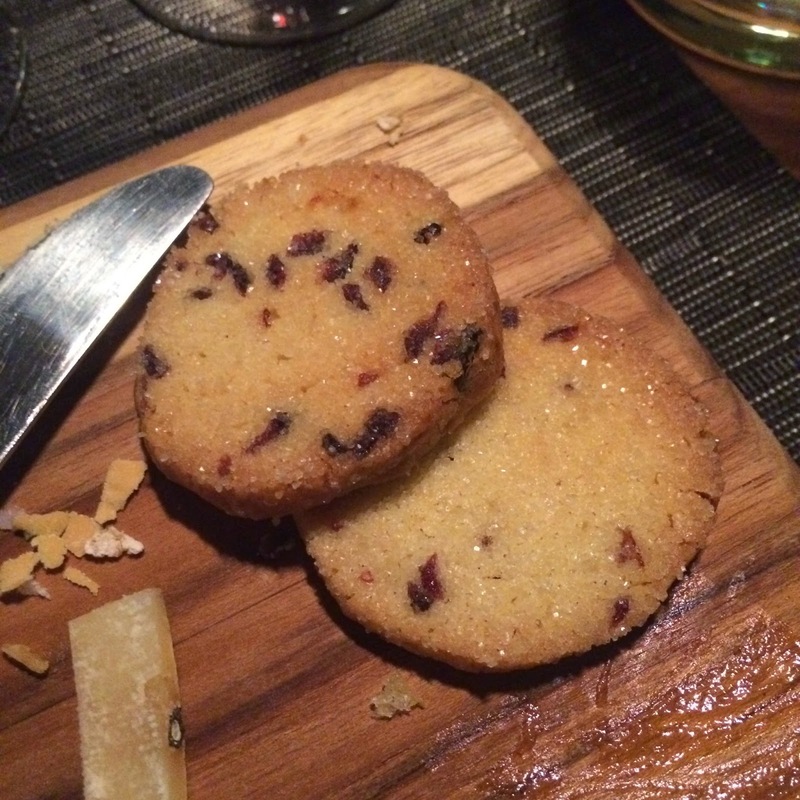 As a little sweet treat to end the tasting, the chefs came back with freshly baked (and still warm) Meyer lemon and cranberry shortbread cookies. They were melt-in-your-mouth delicious. 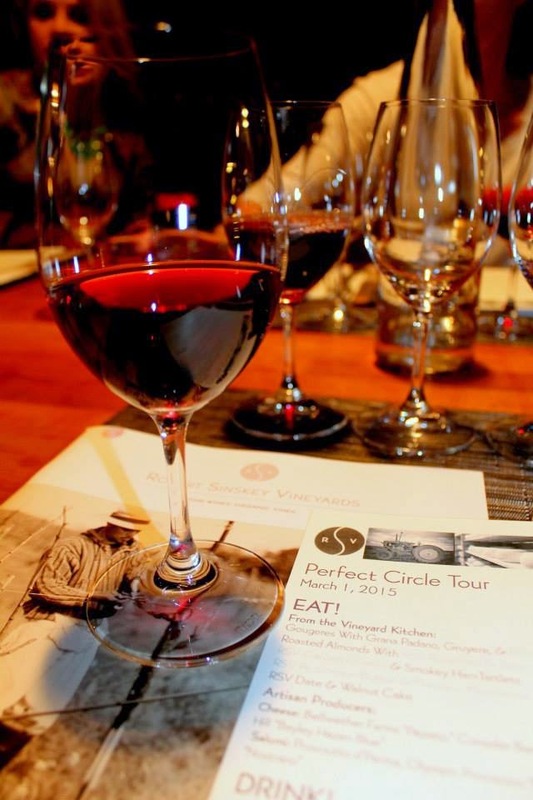 This tasting experience at Robert Sinskey was really special and not to be missed if you're a foodie visiting Napa. 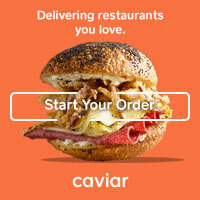 Check out their website and make a reservation for one of their upcoming food events today. Or if you're reading from my home state of Rhode Island (hey Rhody! 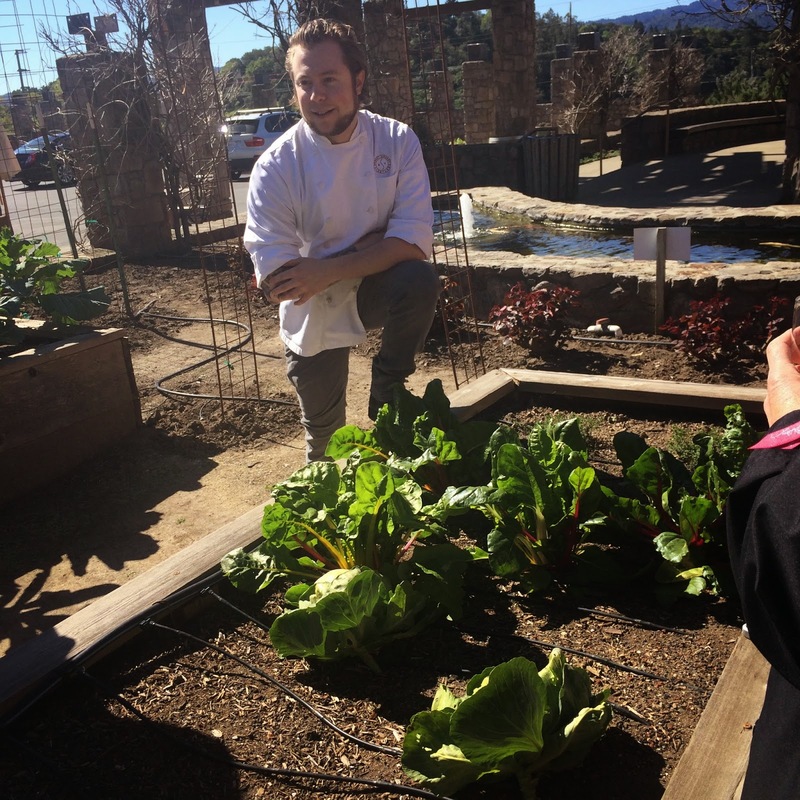 ), Chef Marie Helm Sinskey from Robert Sinskey Vineyards will be participating in the Star Chef Dinner Series at Gracie's in Providence on June 8, 2015. Check it out! Going on a hot air balloon ride is on my bucket list! That is so neat you got to do that! It had never been on my personal list, but now that I have done it I can vouch for how cool it is-- would totally recommend it!